Taking your students abroad on yearly school tours might seem like a logistical nightmare, but it doesn’t have to be such a troublesome affair. With a school tour operator, you can quickly and efficiently, plan your trip for a small or large group of students. As your students get older and start to carve out their own sense of individuality, it will become harder to keep them interested. Senior class trips within their home country may not cut it. Your pupils will want to feel challenged as students and individuals. So maybe it’s time for you to leave your comfort zone and try something a little bit different? China has a great deal to offer your students. Whether it’s history, culture or simply by letting your students experience a way of life that is completely different from their own. China boasts a cultural history spanning more than 4000 years. You can take your students to visit sights such as the Great Wall of China, the Terracotta Warriors or even visit a Chinese Opera. In Peru your students will see first-hand the importance of protecting the Amazon’s wildlife, rain forest and rich Peruvian culture. 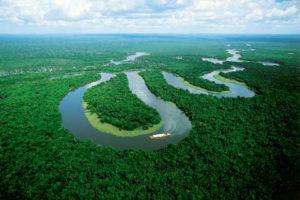 With such sights as the 115 foot high walkway that stretched high above the Amazon. Let your students experience contrast by exploring the city of Lima, a place rich in history and art. Costa Rica is nothing short of wildlife hub, home to 25 National Parks, Costa Rica has no shortage of wildlife for your students to study. 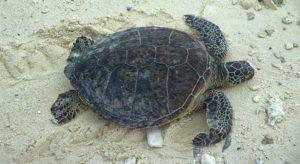 Tortuguero National Park is most famous for its Green Sea Turtles , which lay its eggs on the beach. If you are exceptionally lucky you may get to experience a once in a lifetime event. As the eggs hatch on the beach the turtles begin to race towards the sea, a long and dangerous journey, for a creature so delicate.